The summer is heating up with all the hot titles hitting Netflix in June, including a very highly anticipated conclusion to a series! It’s that time again where we highlight a few of the new choices coming your way from Netflix. 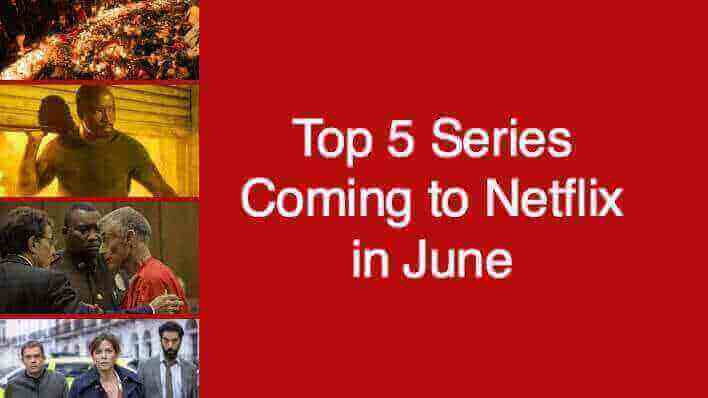 There are a considerable number of series being added in June, including new seasons of favorites. Grey’s Anatomy, Agents of SHIELD, Wynonna Earp, Portlandia, and The Ranch are just a few of the many series with new seasons. We’ll also be seeing new episodes of new shows Explained (Vox Docuseries) every Wednesday and The Break with Michelle Wolf every Sunday. For a full list of additions see our list for June and don’t forget to check out our list of movie highlights for June. Netflix Original Series Nailed It! is returning for another season on June 29th. You asked for it. You’re finally getting it. Fan sensation Sense8 finally gets the conclusion that viewers worldwide have been petitioning and waiting for. The world was stunned in November of 2015 when terrorists struck sites around Paris, leaving 130 people dead. This three-part series tells the story of that day from the point of view of the survivors and first responders as they share personal stories of anguish, kindness, and bravery that unfolded amid the attacks. This acclaimed detective drama stars Anna Friel as Marcella Backland, a former London detective who returns to work to investigate an open case from 11 years ago involving an unidentified serial killer who appears to have become active again. After an extraordinarily long wait, fans have finally gotten what they have been calling for: another season. The DI is back on the case with a new sinister murder for the second run. Netflix has really been hitting the spot for true-crime lovers. Say hello to your latest obsession. Those who love the genre are probably aware of The Staircase, a classic documentary that has been debated about for years. The series focused on the trial of crime novelist Michael Peterson, who was accused in 2001 of murdering his wife Kathleen. To this day, he maintains that Kathleen died after falling down a set of stairs in their home. Oscar-winning documentary maker Jean-Xavier de Lestrade followed the whole thing, from Peterson’s indictment to the conclusion of the trial. Netflix is bringing it back with all new episodes. Included will be the original eight episodes, the two-hour follow-up from 2012 after Peterson was released from jail, and three brand-new episodes focusing on new evidence. Luke Cage is back with new characters and new enemies. Annabella Sciorra (The Sopranos) is Rosalie Carbone, “a dangerous downtown criminal underworld power player with an eye, and an agenda, toward Harlem.” Mustafa Shakir (The Deuce, The Night Of) will play John McIver, “a natural leader, brimming with charisma, whose mission is focused on Harlem and vengeance.” The Hero of Harlem is going to have his hands full this season. What series are you looking forward to seeing most? Let us know in the comments!